Updated 3/1/2017 I'd not heard of this piece before it sold in 2017 for $625. 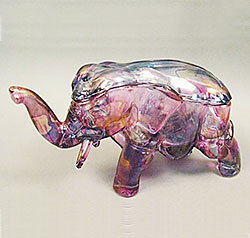 It was attributed to Central Glass Co. and listed as having amethyst flashing. I know nothing about the age.